MONTREAL -- A Crown expert cast doubt Monday on a Montreal man's defence that he was suffering from depression that hindered his decision-making when he killed his severely ill wife nearly two years ago. Chamberland, who met with Cadotte last month, pointed to another factor behind the killing: heavy alcohol consumption the weekend before the slaying, which contributed to a secondary mood disorder -- but not a major depression. "Overall we do not find in him evidence of major depression in the period preceding the events," he wrote, telling jurors: "If he was in a depression, it would not have made carrying out the act easier -- on the contrary, it would have made it less possible." 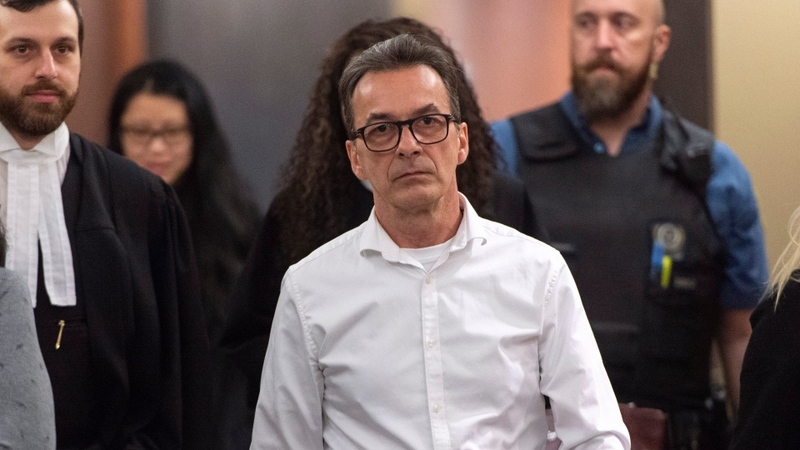 Defence experts said Cadotte was experiencing a mix of emotions -- sadness, anger, frustration -- and acted impulsively when he ended Lizotte's life. But Chamberland noted that Cadotte had said he wanted to end her suffering, which does not suggest an impulsive act. Chamberland said there's nothing to suggest that Lizotte was being mistreated at the facility. The psychiatrist even raised an issue of whether Lizotte wanted to end her life -- an option that didn't exist when she signed her mandate letter nearly twenty years earlier. Rather, Chamberland understood that Lizotte didn't want physicians to take extraordinary measures to keep her alive.